You are currently browsing the tag archive for the ‘sleep’ tag. What a wonderful shower of blessings we have received in recent weeks, not the least of which is the fact that Lea is getting to spend Thanksgiving with friends and family. The past two years she has been hospitalized, so this is a truly joyful time for us. 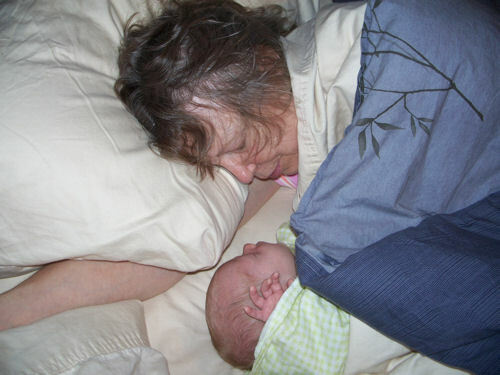 The photo is really special for us, because it shows our miracle girl napping with our latest miracle, grandson Benjamin. We have truly been blessed, and we give praise to our Lord and Saviour for the miracles He works every day! Happy Thanksgiving!